This free blog marketing guide is yours. Just complete the short form on the right side of this page. 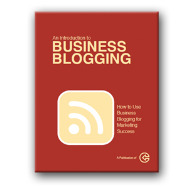 Grab your free copy of better business blog markweting on the right side of this page.